Last Saturday I did something I never do. I stayed in my pajamas all day long! I seriously did not change out of them until 7pm when I changed into another pair of pajamas. It was a fabulous day. The best part was that I didn’t just sit around. I made two orders to ship out, I cleaned the entire house, I worked on some of my posts, and I did a lot of cooking. It was great. Now doing all that work around the house made me thirsty. 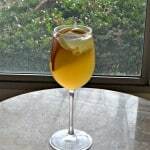 It was a cool, crisp day and I was feeling like a fall drink. There was a bowl of apples on the counter and I had the best idea. 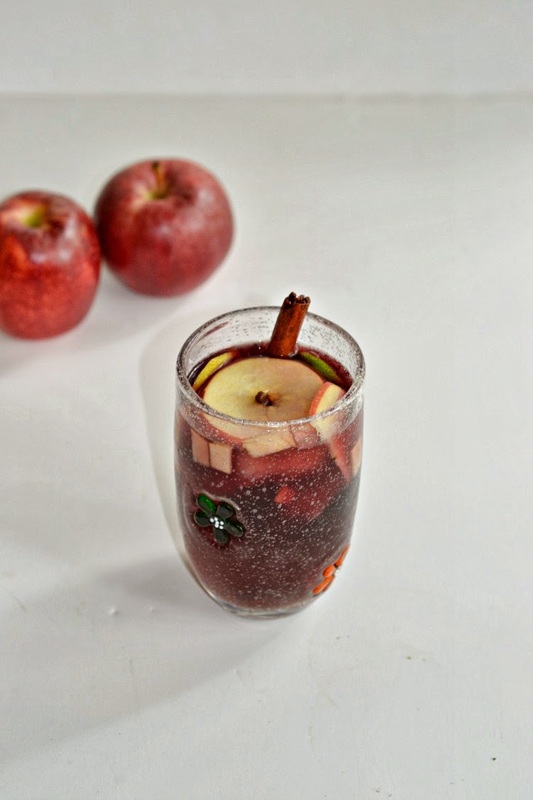 Apple Sangria. You heard me right; I wanted to make apple sangria. I’ll be the first to say I’m not a big fan of red wine but this beverage looked way too good to pass up. First I made a simple syrup with sugar, water, and spices. Then I soaked apple pieces in the simple syrup. 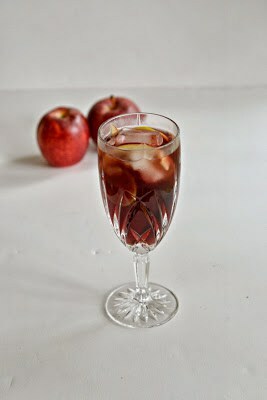 The drink is finished off with lemon slices, lime slices, apple slices, and red wine. 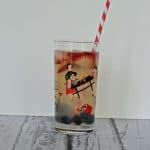 It may be the best sangria I’ve ever had! Slightly sweet, spiced, and it smelled like fall. 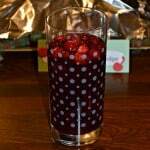 Even my husband, who isn’t big on mixing fruit with anything else, enjoyed his large glass of sangria. 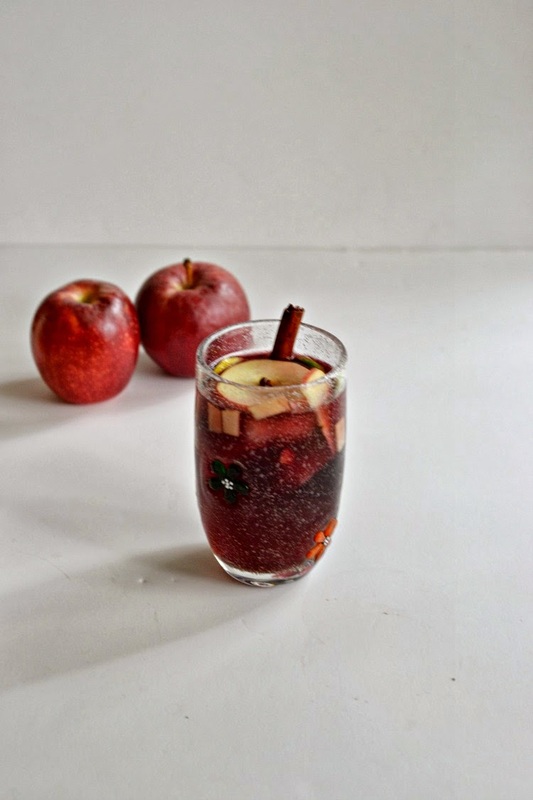 This is going to be the perfect fall party beverage! 1. 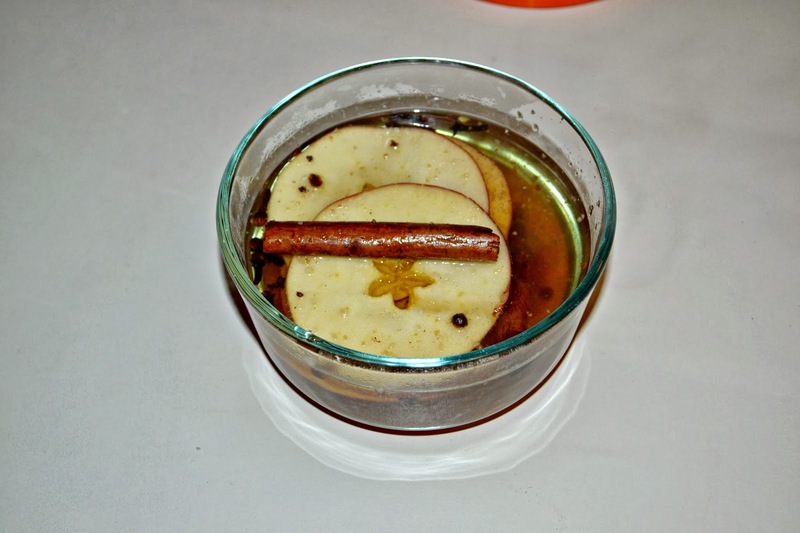 In a medium saucepan combine the sugar, water, cinnamon sticks, cloves, cinnamon, nutmeg, and ginger. Bring to a boil then reduce heat and simmer for 10 minutes. 2. Pour the spiced simple syrup into a medium bowl. Slice one of the apples thinly and place into the simple syrup. Refrigerate for at least an hour. 3. Fill a pitcher half full with ice. Pour in the red wine and cherry juice. Put in lemon and lime slices. Slice another apple and place in the pitcher. Dice the remaining apple and place in the pitcher. 4. Add in half the simple syrup mixture, mix well to combine, and taste. Add additional simple syrup if desired. 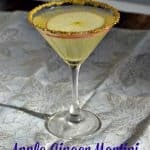 Pour into glasses filled with ice and garnish with a lemon or lime slice. *Refrigerate any remaining sangria for up to 2 days. The longer it sits in the refrigerator the more flavor it will have.